The machine tool and laser technology specialist Trumpf (Ditzingen, Germany) is expanding the Schramberg site (TLS). Over the next few years, the company will expand two existing buildings and create four new ones. Some of the existing buildings will be demolished and replaced; the use will be reorganized. 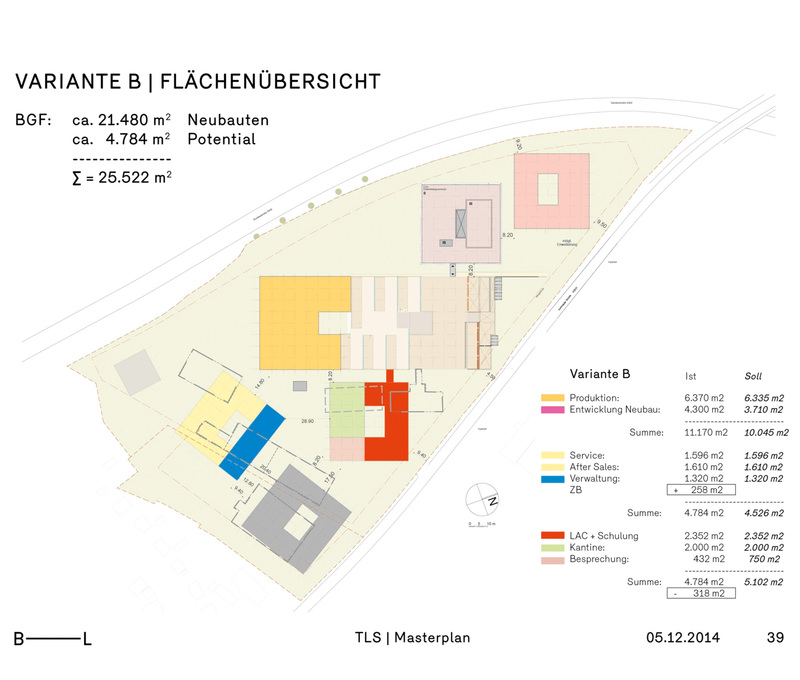 The total usable space in the final construction will be approximately 489758 ft² / 45,500 m². 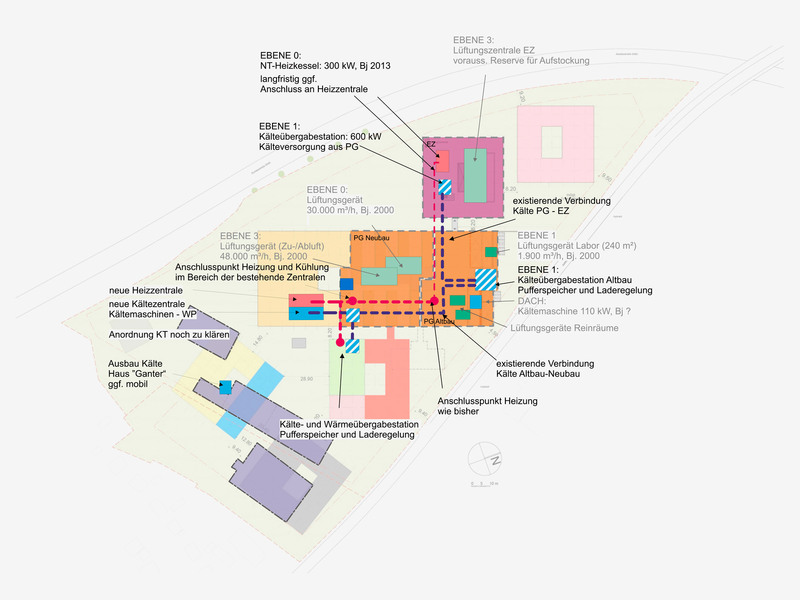 Transsolar developed two masterplans at the same time: one for the development of the building, the other for the future energy supply of the campus. The installations and the needs of the existing buildings were examined as a basis for the extrapolation of the future power and energy requirements. The starting point was an analysis of the heat and cold demand structure in order to identify possible synergies. The systems from the existing buildings functioned as a basis to determine the demand values of the services for heating and cooling for the consecutive development steps: Transsolar developed demand profiles from measured data of these existing systems as well as dynamic calculations for heating and cooling requirements of the buildings. These provide information about the simultaneous occurrence of heating and cooling requirements. 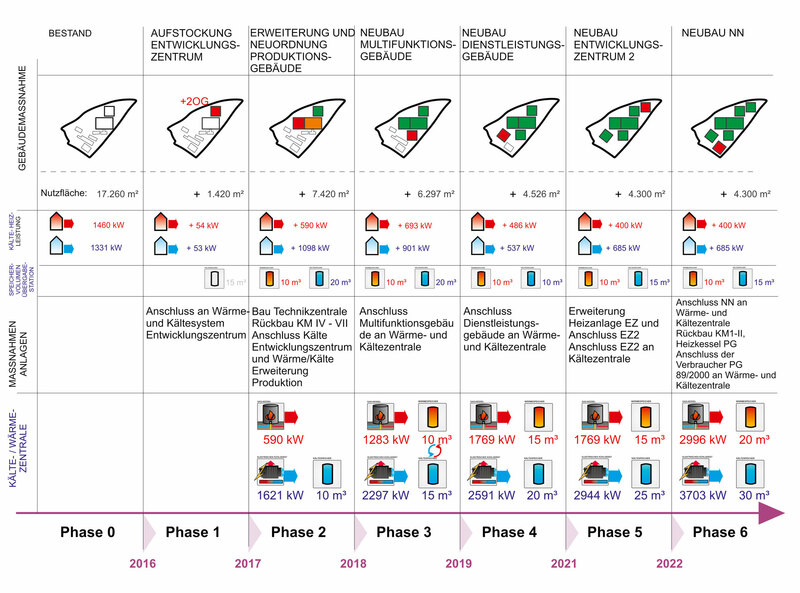 Taking into account the planned uses in the new buildings, these requirement profiles allow extrapolation to the respective planned expansion stages. Based on these findings, the potentials for the recovery of waste heat were determined, which allows a pre-dimensioning of the resulting plant technology.